The first examples of the butter knife date from the late 18th century. In the Victorian period the butter knife was used to serve butter, rather than to spread it. Most butter knives, like this one,are designed with a wide, scimitar-shaped blade with a blunt edge. Many had a stained green ivory or mother-of-pearl handle, but this example is made in the Princess Number 2 pattern to match a cutlery service. In 1899 one manufacturer, James Deakin & Sons Ltd of Sheffield, offered a 108-piece canteen that included one butter knife. At a later date the shape of the blade was copied and used for fish knives and forks. 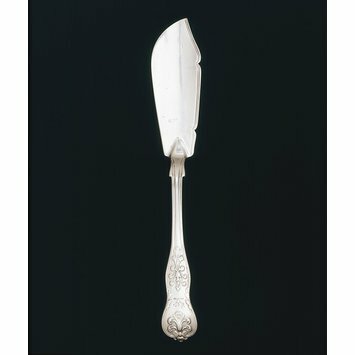 Butter knives became smaller in the late 19th century, as individual butter dishes encouraged the use of a butter knife as part of the place setting. 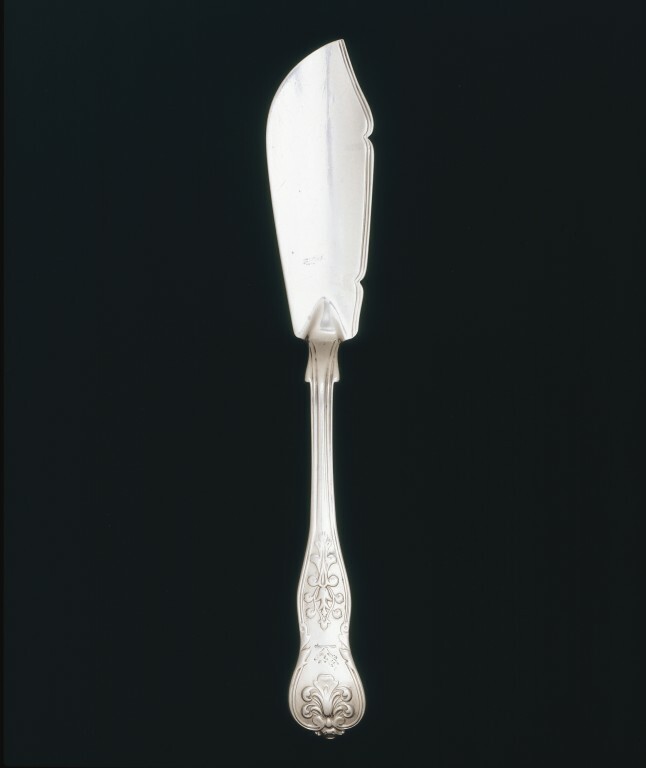 This butter knife was made by Chawner & Co., who were the most important firm of silver spoon and fork manufacturers in Victorian London, supplying the top end of the retailing trade as well as smaller firms throughout the country. Under the name of the proprietor, George Adams, the business exhibited at the Great Exhibition of 1851 and the International Exhibition of 1862. Manufactured in London by George W. Adams for Chawner & Co.